It is certainly true that with several projects consistently being launched, housing societies are all set to take over the property market of Pakistan. However, the trend of luxury apartment buildings is gaining more and more momentum by the day. This we cannot ignore! Capital Square, a new project in Islamabad approved by the Capital Development Authority (CDA), offers a combination of luxury apartments, a mall with an assortment of shops, and underground parking facilities. 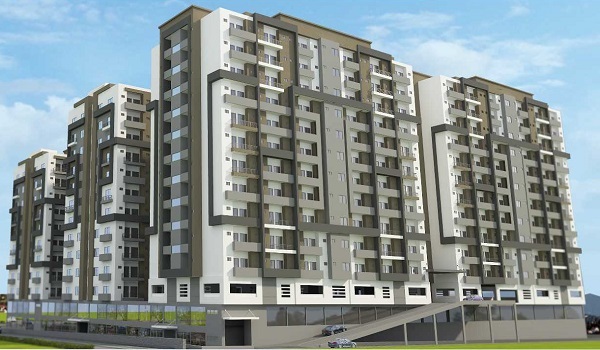 It is being developed by Redsun Associated and is located Block C of Sector B-17. The project features four towers, which have been labelled A, B, C, and D. Each tower has underground parking facilities, a ground floor, and sixteen more floors. Two floors of each tower feature shops, while the remaining floors boast luxury apartments. Potential investors and residents have a choice between 1-, 2-, 3-, and 4-bedroom apartments, which are currently available at reasonable rates. The price of a 1-bedroom apartment is PKR 1,800,000, while a 2-bedroom apartment values at PKR 3,200,000. If you are looking for more space, you can purchase a 3-bedroom apartment for PKR 4,200,000 or a 4-bedroom apartment for PKR 5,200,000. Please note that these are the current rates and may fluctuate at any point if the projects attains more popularity. If you would like to purchase a shop in one of the towers, you can easily do so right now. Shops are currently priced between PKR 3,000,000 and PKR 4,800,000, depending on their size and location. Although the prices of the units are already reasonable, a 4-year instalment plan is also available to further facilitate genuine buyers. The instalment plan requires a 25% down payment and the remaining price can be paid in 16 equal quarterly instalments over a period of four years. While this seems to be a relatively reasonable investment plan, there is a slightly down side: possession will be given 4 years from now. For those who can wait, this may be a golden opportunity! According to a news source, the four towers will offer all the amenities and facilities required in modern, mixed-use buildings. These include 24-hour electricity back up, an earthquake proof structure, a play area for kids, and even a clubhouse. Furthermore, the apartments will be facilitated with American kitchens and imported fittings and each apartment will receive a dedicated parking space which will easily accommodate two cards. To further cater to the luxury lifestyle of the residents, the project will feature a gymnasium, a beauty salon, restaurants, and a healthcare centre. Additional facilities include round-the-clock security through CCTV monitoring and deployment of security personnel, a jogging park in the vicinity and a well-equipped super store. According to a reliable source, the ground floors of towers C and D have already been constructed and development work is being carried out on the remaining floors. The development of towers A and B will commence soon. Interested investors can visit the site and view a model apartment in order to get an idea of what to expect from the project in the future. While the project is in its initial stages at the moment, it is too early to make a judgment call regarding its success or the quality of the offerings. However, we do know this – the success of largely depends on timely delivery and the maintenance of quality standards. If the developer delivers as promised, the project will fly – and if not, it may die!